1 | Ornaments as guest favors with traditional kraft paper gift tags- a perfect touch for the holidays! I also love that the ornaments are hung on chicken wire; it really adds a rustic touch to the glamorous ornaments. 2 | Gorgeous floral from the ceremony to the reception, as always. The gold and brushed brass accents added an antique feel that warmed up the decor. I love that Natalie + Kyle used pinks and reds for their floral selection; whereas most couples in the winter months opt for strictly greenery and/or very dark tones. The dusty pastels and deep reds and burgundy all do a beautiful job complimenting the lush greenery, the decor's golden trim, the wooden elements, and the neutral tablescape. 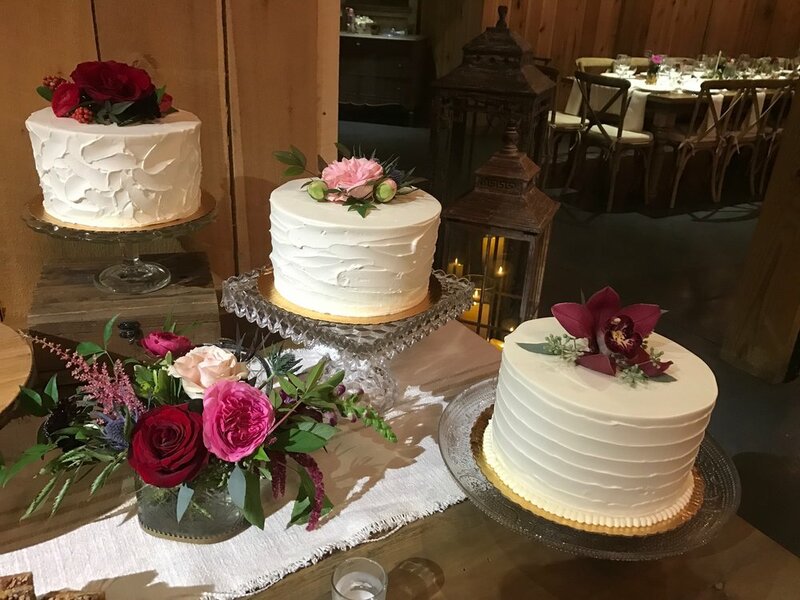 I just might try to create something like this arrangement at my house..
3 | Three sweet + pretty cakes by Dulce, and an incredible Chipotle themed Grooms cake as well. So creative and such a unique touch to a classically beautiful wedding reception. I mean who does not love the burrito cake?! This was such a beautiful wedding from the ceremony to the end of the reception. 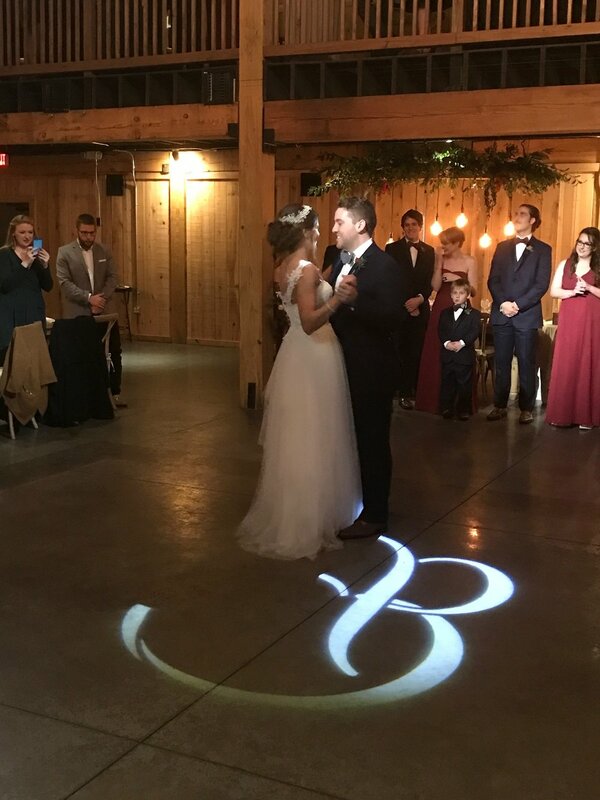 A packed dance floor, a room of close family + friends there to celebrate Natalie and Kyle as they begin their lives as Husband + Wife. Congratulations again to our Newlyweds.. We're so glad that our team was able to be a part of this sweet wedding day. Cheers!